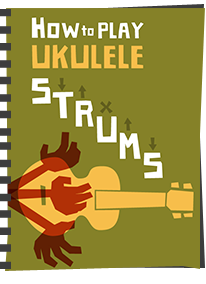 Now for something that may appear a little unusual on the Got A Ukulele reviews page, but it's a ukulele that is actually more familiar than you might expect. This is the Famous FS-1 Soprano Ukulele from Takumi musical instruments. I say 'familiar' because there is another brand I am sure you have heard of by the name of 'Kiwaya' who I have featured a couple of times before on this site. When it comes to their 'eco series' in which we have the Kiwaya KS-1, in Japan, that model is known as the 'Famous FS-1'. 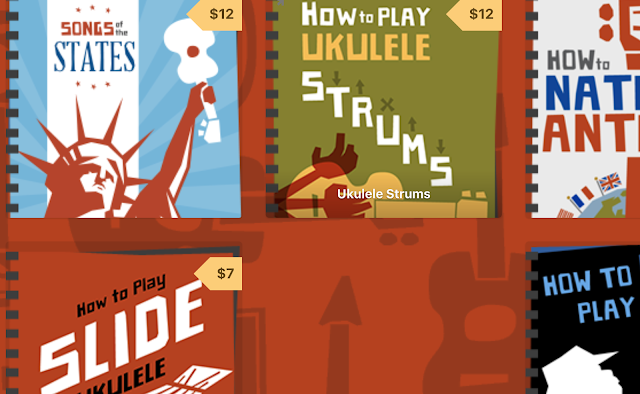 Otherwise it's pretty much EXACTLY the same ukulele. Some time ago I reviewed another model from their eco series, the Kiwaya KS-5 soprano ukulele and yes, you guessed it, in Japan that is labelled as the 'Famous FS-5' but is otherwise the same instrument. So Famous FS-1 / Kiwaya KS-1 - take your pick - they are essentially the very same thing. And they are both the entry level model in that series. 'Eco' in this instance means all laminate rather than solid wood, so this one is a traditionally shaped soprano made from all laminate mahogany. Regular readers of mine will know that I rave about the quality of Kiwaya laminate, as I did with the Kiwaya FS-5, and that is simply because it is quite unlike any other laminate I have come across on a uke. In fact this is the closest I have seen to top musical grade professional laminate, of the sort used in backs of guitars from the likes of Taylor and Martin, that I have ever seen. 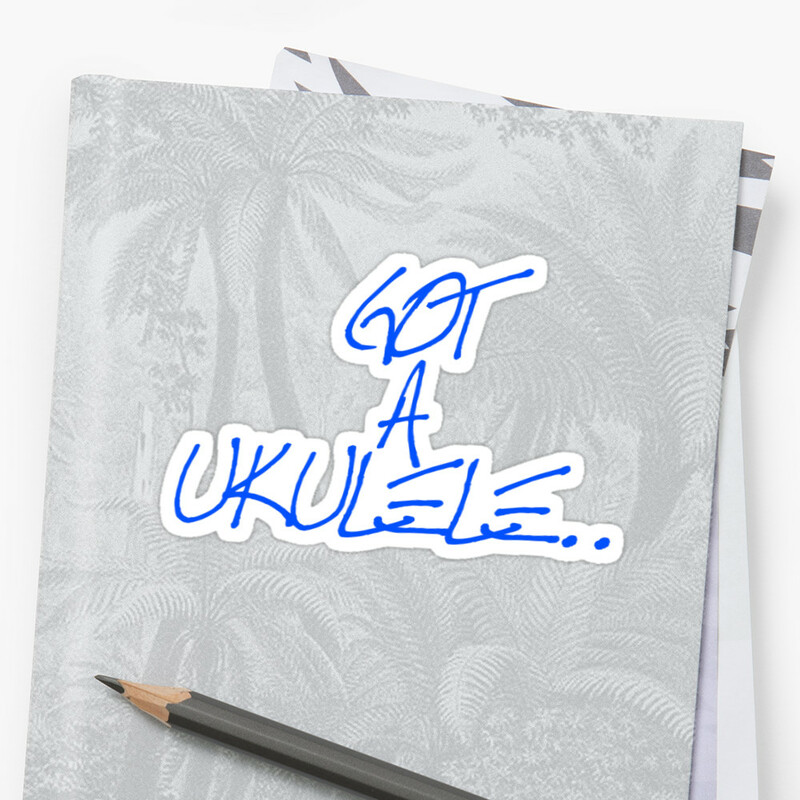 Unlike some people, I am not against laminate as a matter of course, yet so much of it, even on some very well known brand name ukuleles can look and feel over thick, heavy and a bit dead sounding. And of course at the cheap end of the scale, laminate can mean nothing more than 'plywood'. That is not the case with Kiwaya / Famous. In fact, this is exactly the sort of laminate that I refer to when I see yet another Facebook post saying 'solid wood is better than laminate'... I'd take Kiwaya laminate over a cheaply made solid instrument every day of the week. And you notice the quality of the material not only by just looking at it but by holding it too. A look at the edge of the sound hole and edge of the top on this shows you just how thin this is, but when you pick it up the weight of the instrument tells you the very same thing. It really is light as a feather, and possibly one of the lightest sopranos i've reviewed. Looking closely it seems to be made from three thin sheets of wood, likely all mahogany, pressed together in a very thin sandwich. Plywood this is NOT. I don't know how Famous / Kiwaya do it, but they do. And the other thing that Kiwaya / Famous are (ahem) 'famous' for is the accuracy of their build construction. Like every other instrument I have seen from this brand every single joint, cut piece of wood, fitment, fitting, is absolutely and perfectly exact. Unlike some value instruments there are no 'fudges' where the instrument clearly hasn't fitted together properly and gaps are hidden with filler. It just all fits perfectly. It's quite incredible and it gives the whole thing a feel of reliability and quality. Entry level this may be, but it feels far from it. A glamourous instrument it is not though, finished as it is in a very plain, thin satin over very plain wood with no other body decoration whatsoever. 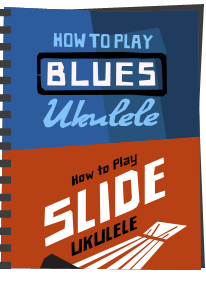 If you like plain ukuleles, this may be your dream, but even as a plain ukulele lover myself I have to admit this one is perhaps overly simple! Still function is what this brand is all about at this price, not blingy looks. The finish is evenly applied though and leaves the ukulele feeling tactile and wooden. It's also fairly shimmery as you can see. Apart from the plainness it's hard to fault really. For the bridge, like all Kiwaya / Famous sopranos we have a Martin style slotted bridge housing an exaggerated compensated saddle. It's something you see with all of them and is there to ensure as good as possible intonation up and down the neck. And in my experience of them, it works. The bridge plate on these were previously made from rosewood but in line with CITES restrictions this has now changed to walnut and looks great. Incidentally, the saddle material is not specified, but looking at various retailers of the Kiwaya version of this, some of those use a black material for the nut and saddle as opposed to the white on this. That's about the only other difference between them I can discern. I think they may both be ABS though. Inside is extremely tidy but simple. The edge linings are curved thin pieces of wood as opposed to notched strips, and whilst there is some traditional bracing on the underside of the top to keep it taut, there is no bracing on the back at all on account of the strength of laminate. It does always surprise me why some laminate soprano ukuleles are braced so heavily on the back when it's not really needed. I've seen laminate backed acoustic guitars with no back bracing because of the strength of the wood, and that's a lot of wood! Other than that, it's clean and tidy with an attractive makers label telling you that it is made in Japan. I can't see how the neck is joined, but for the price I would be surprised if this was dovetailed like higher level Kiwayas. It might be though knowing their accuracy in building. Either way, it too is made of mahogany in three pieces and finished in the same satin coat. It has a pleasing flat profile and a nice wide nut at 36mm - very reminiscent of the Martin sopranos it mimics. Just what I like on a soprano. Bear in mind that this is a wider nut than the tenor ukulele I reviewed last week! And people STILL say that tenors automatically have more space for large hands. Nope. Topping this is a a walnut veneer fingerboard (meaning the outer is walnut but stuck on another unspecified wood). Looking at the edge you can just about make out the paper thin walnut sitting on top of a different but similar looking wood. It's paler than I would like on a ukulele but functional and I suspect something we will get used to now we have seen the back of rosewood. A darker alternative would have been ebony I suppose. Like other Kiwaya models, it's extremely thin too meaning the piece that lays across of the soundboard is minimal and not a huge slab like on so many cheap ukuleles. This is a good thing as the more you lay on the top of a uke, the more you affect the vibration. You get 12 nickel frets to the body and 15 in total. Position markers are provided at the 5th, 7th and 10th and we also have side markers. Simple, and all boxes ticked. Beyond the nut is the typical Martin shaped headstock as used by Kiwaya on most of their models. Unlike the Kiwaya of course this comes with the Famous logo in a gold transfer. I prefer the Kiwaya logo, I must say, but hey.... it's just a logo..
Tuning wise, these are entry level Gotoh friction pegs. They are not the best friction pegs in the world, but far from the worst and the sort of thing you get on lots of Kiwaya's and most of the Martin copy Ohana sopranos in their friction peg versions. They also have stark white buttons for which I would prefer black or cream. Still, they are easy to change. Incidentally, if you absolutely can't abide friction pegs, Famous also make a version of this with geared pegs as linked at the end of the review. But come on - it's a soprano! The strings confused me on this one as unlike the Fremont blacklines that Kiwaya tend to use on their higher end instruments, these are nylon that looked at first glance like D'Addario Titaniums in colour. Also, unlike most other nylon strings I've played (which I rarely like to be honest) these have a tension and feel that I find very comfortable. It took a bit of researching to find out what they were due to my poor grasp of Japanese Kanji, but they are from a well loved specialist US guitar string maker and are called Aranjuez Marrons. 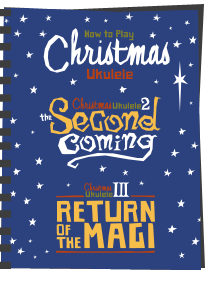 I've never seen them on a ukulele before, but there you go. They are rather nice! That package leaves me with the difficult part of the review, and that is the price. Let's just be clear - to buy one of these in the UK in Kiwaya 'flavour', it would cost you about £270 - £280. That's quite a bit of money for a plain laminate soprano, even if the laminate is great. In the Famous guise though, I had this imported from a Japanese music store, including shipping to the UK for £155 all in. Sure, it took 10 days to get to me, and there is still a chance I will face a customs bill taking it to about £180 but still. 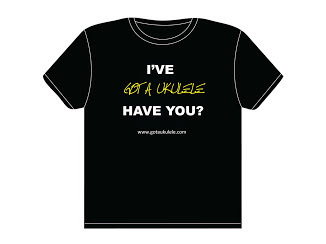 And that is for exactly the same ukulele with a different logo. I am not sure what is going on with the world market for Kiwaya, but it seems to me that things are just not right for us customers. As it is, I have reviewed and scored this as a Famous at £155 - £180 and it therefore does very well in the value for money stakes. Had I reviewed this as a Kiwaya at £280 the 'value for money' element of the score would have naturally dropped. That's not far off double. Anyway, let's look a bit closer. As I say the build is exemplary and the ukulele is light as a feather. It's also perfectly balanced and you almost don't know it is there when you hold it and play it. Dare I say that the build is TOO precise though? I say that because it can feel a bit angular and almost sharp on the edges particularly on the top and down the sides of the neck. I'm not talking about the frets here, which are just fine, rather the edges of the wood itself. Ordinarily I may suggest a careful run around the top and back edge with sandpaper would tone that down, but when I consider how minimal the linings are, I'd be concerned about weakening the joints to the sides. Setup though, just like all Kiwayas is absolutely perfect. Not only is the action super low without any buzzing or loss in projection, the frets themselves are also ultra low profile. What that means is it has a neck where you can hardly feel the frets on at all and needs minimal finger pressure to engage the notes. It's a supremely light action and that, coupled with the light weight makes for a wonderful playing feel. Again, I don't quite know how they do it but they do! And despite such a low action, the volume is terrific and sustain is great. Because of that thin and light body the sound just seems to project out of it in all directions and it has that ability to throw a pleasing vibration back into your chest when strummed. And yes, it has a real soprano bark when strummed hard - something I always want from this scale. The tone is not hugely characterful though if I am honest, and a lot brighter and thinner than I would expect from mahogany, but it's still very pleasant, if a little less so when picked as it can sound a little too 'simple'. Compared to the FS-5 laminate koa it lacks a richness and is more one dimensional. That laminate koa version was frighteningly close in sound to a high end solid koa uke, whereas I can't say the same about this compared to say, a solid Martin mahogany. Still, it's perfectly respectable and again, that playability is just a joy. Yet I still can't quite get over the pricing issue. As I say, it would be unfair to downgrade the score of this particular one, because at this price it IS a total steal I think. But many of my readers may be reluctant to order all the way from Japan due to difficulties and costs associated with returns. For those wanting one of these in Kiwaya form, I just struggle to justify the almost doubling in price in the UK. Sure, when I reviewed the Kiwaya KS-5 I said it was great value. BUT it was just over £200 back then. 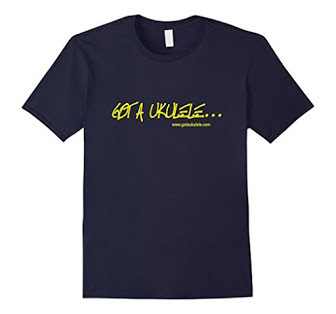 To buy one now in Kiwaya form is nearly £300, whereas the Famous version is around £200. And so it is with the FS-1 / KS-1. While I know you review with the stock set up, I wonder how the sound would be with a different set of strings. Is the neck profile of the FS-1 same as your previously reviewed KS-5? I have a FS-5 and a KTS-5 myself and the neck profiles between these two models are a bit different, the FS-5 has a more D-shape to it while the KTS-5 more of a slim C-shape. Very nice. I started to order a Famous FLS-60 last winter (long neck soprano), until they got back to me that the shipping was 9100 Yen ($100CDN/£60), which was almost half again the price of the instrument, even though Rakuten seemed to suggest shipping to Canada would be about 1/3 that. Just as well, I'm getting to prefer standard sopranos anyway. I'm glad you got a better deal on the shipping. Very nice! Could import taxes and trader fees have something to do with the price difference between the Kiwaya export version and Famous Japanese market one? Also, the bridge plate is on the inside (like the Red Hot Peppers song), not very visible and usually not made out of rosewood - I suspect you meant the bridge itself has been switched from dark CITES-regulated rosewood to brown walnut that matched the fingerboard. I bought a used Famous FS-0 for a travel uke and it's become a favorite. love the wide neck and the awesome volume, louder than some tenors.